Eurodollar is forming a structure to return to level of 1.2300. 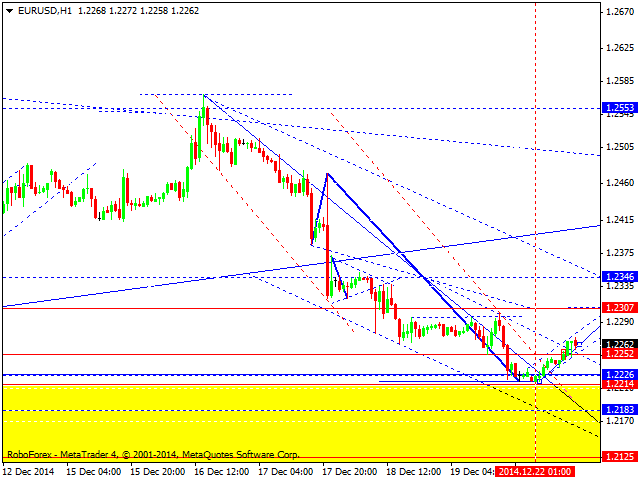 Later, in our opinion, the market may start moving downwards again to reach a new low and level of 1.2200. Pound is under pressure and still moving downwards. 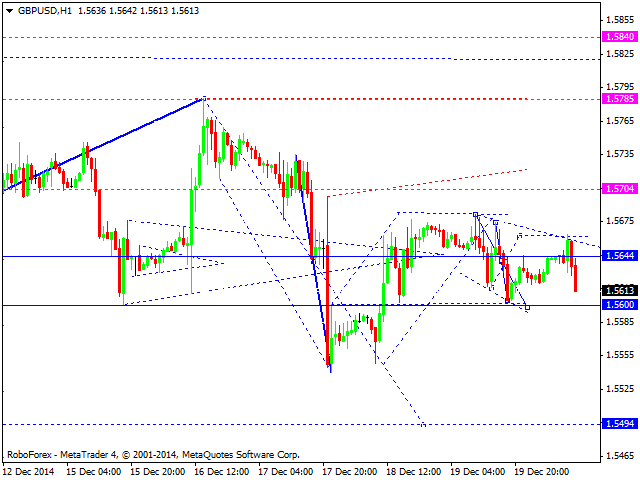 We think, today the price may complete a structure with the target at level of 1.5600 and then return to level of 1.5640. Later, in our opinion, the market may resume falling towards level of 1.5500. 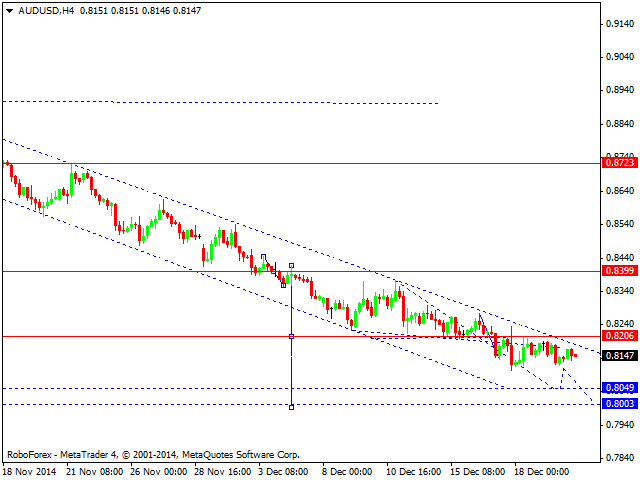 Franc is moving inside a descending structure towards level of 0.9797. 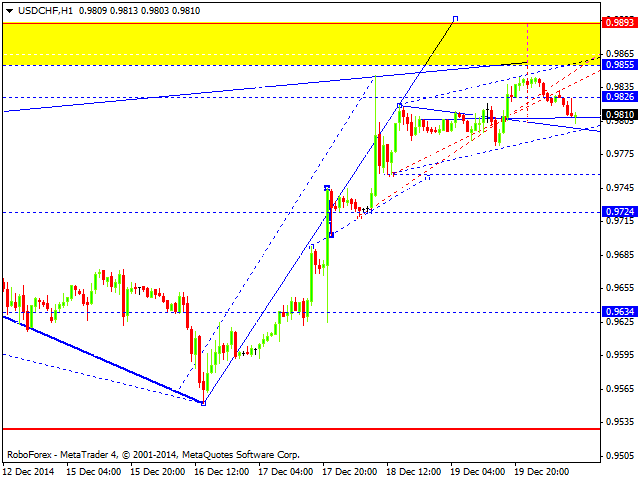 Later, in our opinion, the market may continue growing to reach level of 0.9855 or even level of 0.9890. Yen is still forming an ascending structure with the target at level of 119.85. Later, in our opinion, the market may fall towards level of 119.00 and then complete this ascending wave by moving upwards again to reach level of 120.20. Ruble continues moving downwards; the pair has already broken its consolidation channel and may continue falling to reach its local target at level of 52.00. 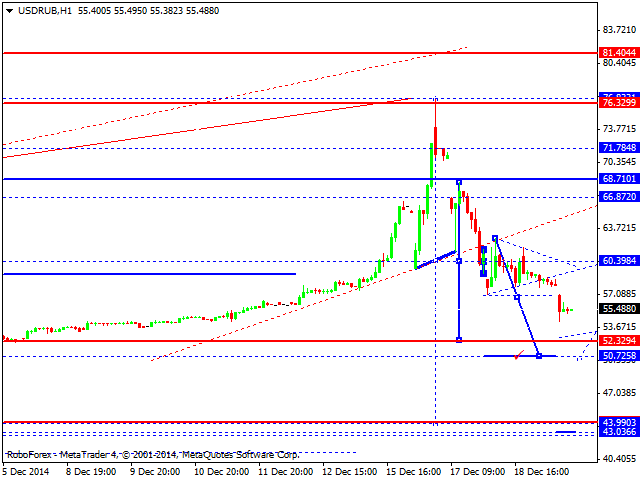 Later, in our opinion, the market may grow to test level of 60.00 and then continue falling towards level of 45.00. 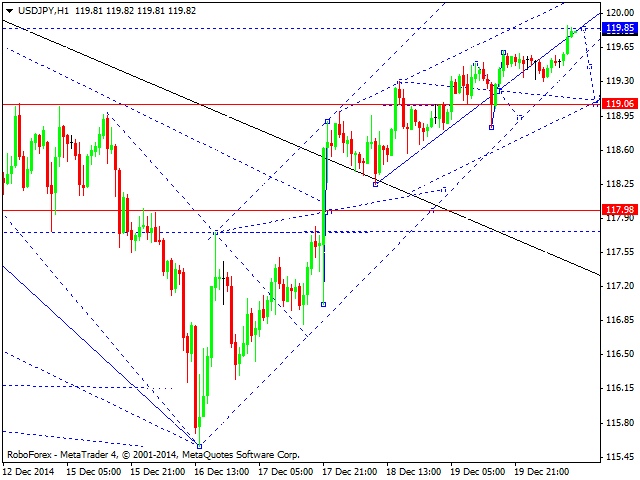 Gold continues moving inside a narrow consolidation channel. 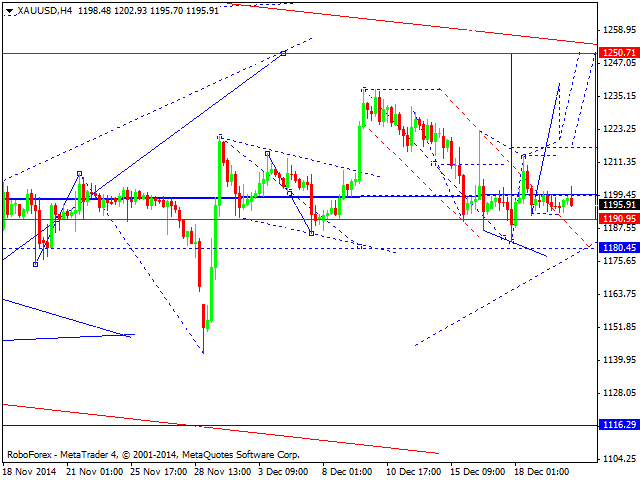 Possibly, today the price may expand it downwards to reach level of 1180. Later, in our opinion, the market may continue growing to reach the main target at level of 1250.